At Bluegrass Ceili Academy, Irish dancing does just that – makes our hearts sing and our spirits soar. In honor of a community leader, it’s now our motto. Alltech’s Dr. Pearse Lyons was an inspiration and a friend to so many in our community. I was fortunate to know him and spend time with him and his wife Deirdre at a number of events over the past decade. While he left this world on March 8, his immense influence carries on. This St. Patrick’s season Bluegrass Ceili Academy’s dancers answered Dr. Lyons’ call to “do what makes our hearts sing.” It’s a charge we will continue to carry with us beyond March, through the rest of this year and as we build our dance family. Being an active part of our community is part of who we are. This March, we took our hearts, by way of our feet, into the community for a series of events. 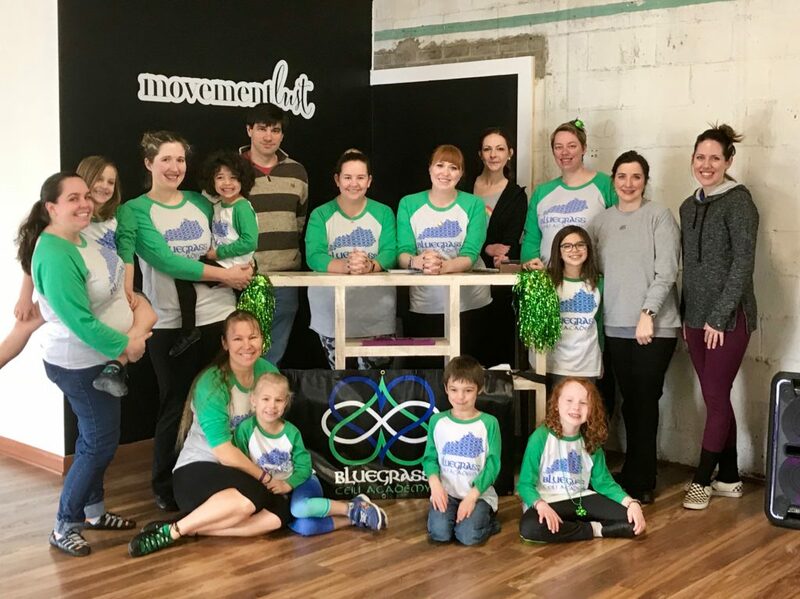 We partnered with Movementlust for a family-friendly Irish dance workshop. Like us, Movementlust’s studio seeks to provide dancers “a home within which to expose their hearts and keep their love of movement alive and thriving.” Our partnership has brought Irish dance to their floor this past year, and in March, it brought moms, dads and their children together to dance and celebrate. We went “on exhibit” at the international art gallery at Global LEX, the city’s multicultural affairs center. Our dancers helped kick off the center’s Irish arts exhibit with performances and teaching demonstrations. You can check it out at Global LEX through May. 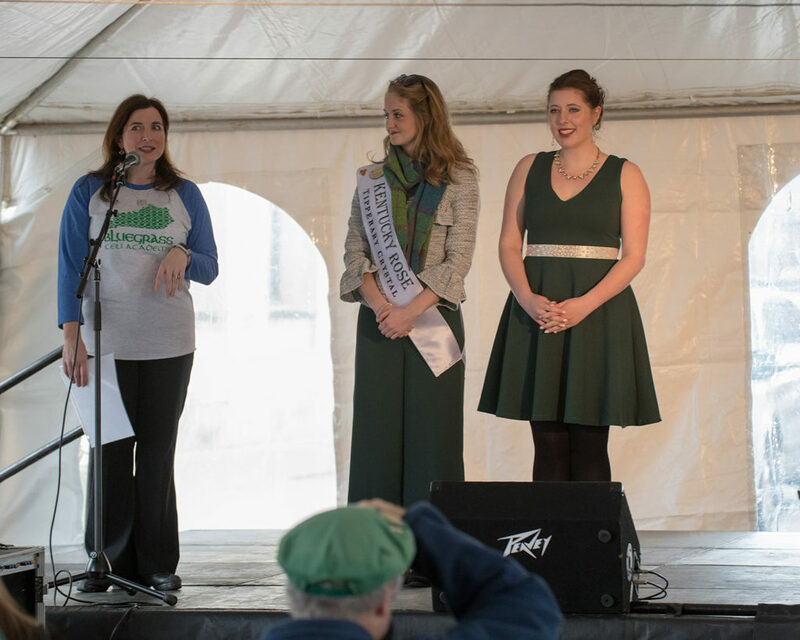 We took to the stage at the Lexington St. Patrick’s Festival on March 17 in downtown Lexington. We also welcomed our Celtic cousins from the Royal Scottish Country Dance Association, collaborating on a dance that compared our two unique styles. 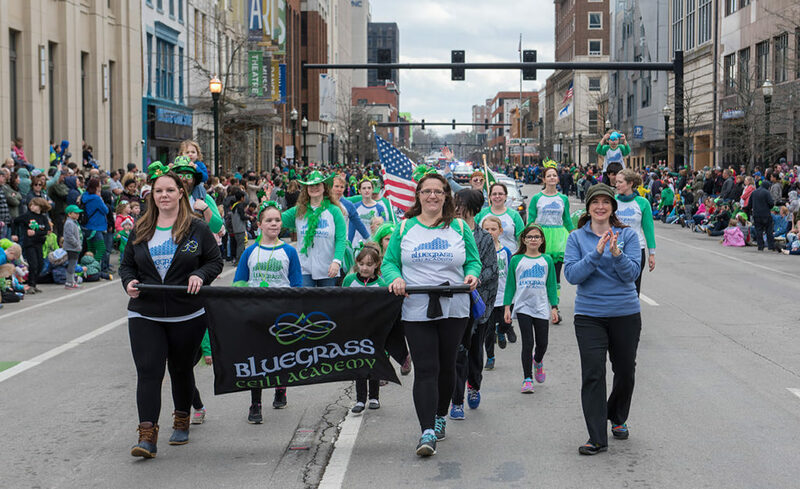 Our Bluegrass Ceili Academy dancers were also excited to welcome our Kentucky Roses to the stage with us – both the 2017 Kentucky Rose of Tralee and our 2018 Kentucky Rose candidate have danced with us. We’re honored to be involved with an organization — the Kentucky Rose of Tralee Center — that recognizes and empowers young women. We put on our parade finest and danced down Main Street in the lead section of the Lexington St. Patrick’s Parade. The weather turned out to be perfect, making the event a perfect tribute to the memory of Dr. Pearse Lyons, to whom it was dedicated. With our Irish dance March madness behind us, we’re rolling into a busy spring, with plenty of opportunities for you to see our dancers. 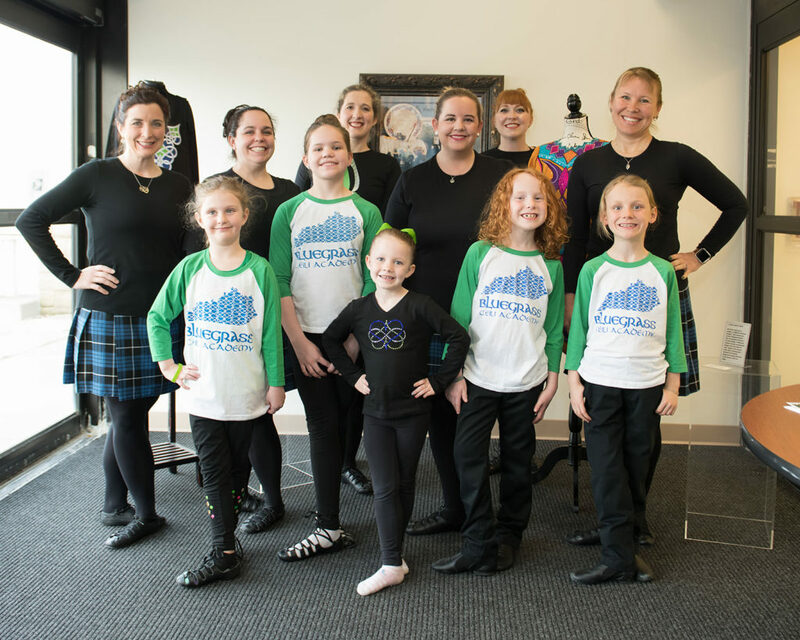 On Saturday, April 14, 2018 from 2-4 p.m., join the us, the Kentucky McTeggart Irish Dancers and the Central Kentucky Branch of the Royal Scottish Country Dance Society for a Celtic music and dance fest! We’re joining together for the Central Kentucky Céilí Céilídh, to be held at Artworks at the Carver School. On Derby Day (don’t worry… we’ll be wrapped up well before race time), we’re taking our traditional Irish dancing back to meet its Scots-Irish mountain roots at Mission Fest, a fundraising event for the Bethany Christian Mission & School in Wolfe County. We get started at 11 a.m. and hope you can join us. Our Irish dancers join the rest of Kiddie Kapers & Company Dance Program onstage for a spring recital on May 12. Tickets go on sale April 13 for our 7 p.m. performance. Don’t miss our first ever Bluegrass Ceili Academy Showcase on Friday, May 18 at 7 p.m. at Lexington’s Downtown Arts Center. 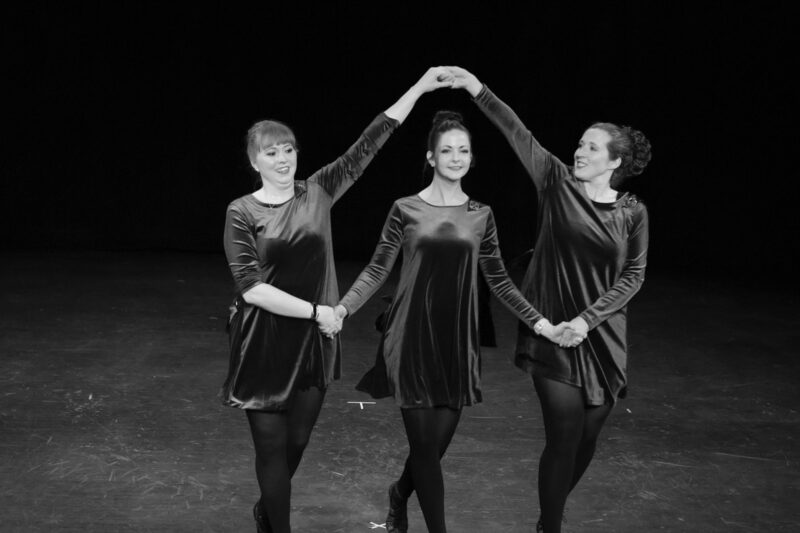 Watch our dancers and special guests perform AND join us on stage to learn an Irish ceili dance. ← Irish dance March madness in Lexington is on its way!